Have you always wanted to tour the Italian countryside and experience the old world romance of handcrafted wine? While the 4th Annual New York Wine Expo isn’t exactly in Italy, it will transport you (via your taste buds) to Italy and beyond. 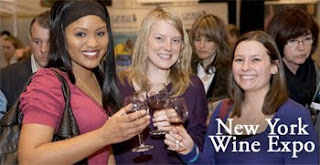 The expo showcases over 700 wines from more than 170 global wineries, all for sampling and purchase. Plus, learn about everything from grapes to glassware from sommeliers and winery owners at one of the many seminars.